College students face a number of new challenges when they leave home and begin their educational journey. In their new atmosphere they will often find themselves surrounded by a number of other students throughout the entire day. Many of the resources in both the college and student housing are communal, being shared with dozens of other people. This poses a unique risk regarding the contraction of common communicable diseases. Learning to take the proper precautions to avoid contracting these common diseases, recognizing their symptoms, and avoiding the spread of such diseases is an important part in protecting the student body as a whole. This article is written for college students, college faculty and staff, and healthcare providers that have regular interaction with college students to help them understand what they can do to prevent the spread of common communicable diseases. 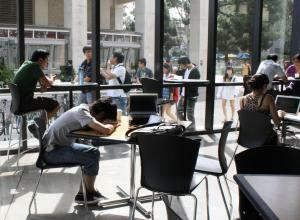 Influenza, also known as the flu, is commonly contracted among college students. Influenza is a viral infection that primarily targets the respiratory track and lungs. Contracting the flu can weaken someone’s immune system and make them vulnerable to other more severe opportunistic infections. Influenza evolves quickly which is why a seasonal flu vaccine shot is required rather than a single vaccine shot during someone’s lifetime. Nausea and vomiting are not common symptoms of the flu in the adult population. Meningococcal disease, or bacterial meningitis, is a potentially life threatening bacterial infection. It can cause inflammation of the membranes that cover the spinal cord and brain. It also can cause a serious blood infection. Long term affects of bacterial meningitis include seizures, stroke, mental retardation, hearing loss, limb amputations, and several other nervous system problems. Human Papillomavirus (HPV) is the most common sexually transmitted infection. Almost all sexually active women and men will contract HPV at some point during their lives. While almost all sexually active individuals will contract HPV there are different types of HPV that can cause health problems and others that go without symptoms. Some of the worst health problems associated with HPV are genital warts and cancer. Symptoms may appear years after contracting the virus, if ever, which makes it difficult to know when someone was first infected. Colleges understand the health risks associated with having many students sharing a single campus and it’s resources. Because of this, colleges regularly have vaccination requirements and protocols. Assuring that you meet these vaccination requirements is vital to the overall health of the student population. While colleges and states have their own set of required vaccinations, there are some vaccinations that are helpful to obtain that may not be required by the school or state. Influenza, also known as the flu, is one of the most common communicable diseases. Obtaining a seasonal flu vaccine every year has proven quite successful in helping prevent the contraction and spread of the disease. Meningococcal disease can be deadly or cause permanent damage to the body. Obtaining the Meningococcal disease vaccine has also proven quite successful in preventing the spread and contraction of the disease. The Human Papillomavirus (HPV) is one of the most common sexually transmitted diseases. It has been shown to cause cancer in some women once they reach an advanced age. Some strands of HPV are also the cause of genital warts which can cause emotional stress. While the HPV vaccine is generally recommended for women, young men can also receive the HPV vaccine to help prevent the contraction and spread of the disease.